Bhopal March 29, 2019 (WTN) - In recent years, Madhya Pradesh has emerged as the first choice of filmmaker directors for film shoot due to the geographical and social diversity of Madhya Pradesh. Other technical requirements are too easily Accessible for filmmakers in MP. In the same sequence, film producer Siddharth Yadav and director Sandeep Pandey are coming with their film ‘Chousar Firangi' which is totally produced in Madhya Pradesh. This film shows the hidden reality of the high and low class of two economic social scenarios of the Indian society. 'Chousar Firangi' is the story of a society which considers people of slums, with inferior vision and feels themselves superior to them. As the story of the film progresses the layers of higher society open up and the people of the slum dwellers prove to be more ethical than them. The uniqueness of the film is Madhya Pradesh's location and linguistic style. In the same sequence, a press conference was organised to brief about the film where entire star cast of the film 'Chousar Firangi’ shares their experiences. Film is releasing Pan India on April 5. 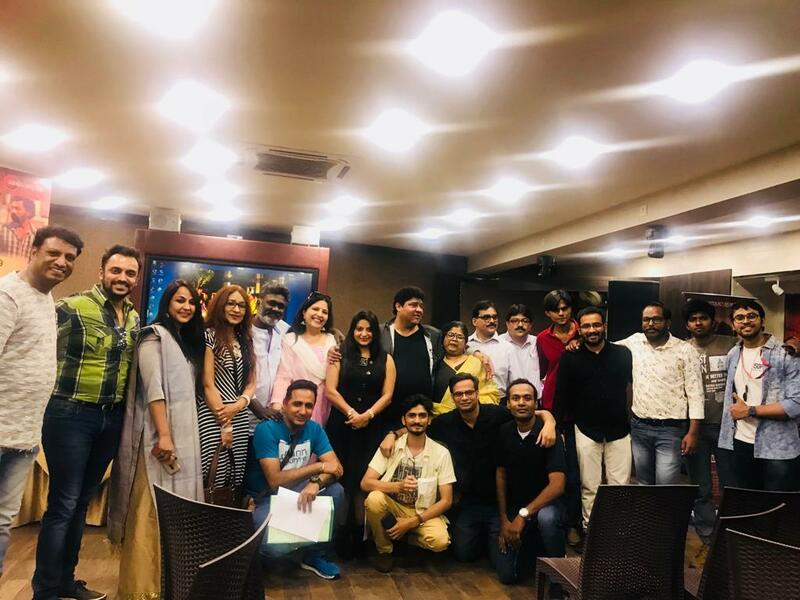 Alongwith the producer director of the film actors in lead role based from Jabalpur MP Prateek Pachauri, Anshul Singh Thakur, Rekha Mishra, Sarika Nayak, Amar Parihar, Vinay Sharma, Manish Tewari, Jitendra Vashisht, Babu Hazara, Hansa Singh and Amol Deshmukh were present. This film is produced by Siddharth Yadav and writer-director is Sandeep Pandey. The music of the film has given by Shruti-Dharmesh and Ash Sagar. The film's brass section has been given by Manoj Ben (Shyam International Band). 'Chousar Firangi's All India release is April 5. The music and trailer of the movie has been launched by Zee Music Company. The movie was recently previewed in Mumbai, which was praised by the film critics. Gayatri Motion Picture will give 10% of the first day connections of the film in the Military Assistance Fund of the martyr of Pulwama attack.